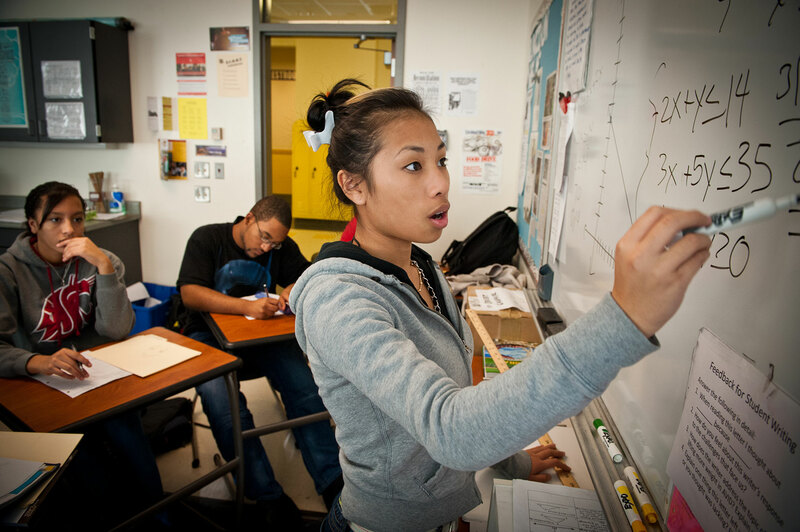 Lincoln HIgh School in Tacoma Washington has created Lincoln Center, a program modeled after charter schools. The program focuses on teacher excellence, extended instruction hours and setting very high expectations for the students. In three years the college prep program's 300 largely african-American and Hispanic students have surpassed the GPA of the school's other 1200 students buy almost a full garde point (2.9 and 2.0 respectively). In the AVID program (Advancment Via Individual Determination) students teach each other by engaging in small study and discussio groups. All are planing to attend college.